Comerica, Inc. is an American financial-services company founded in Detroit, Michigan and currently headquartered in Dallas, Texas. Routing Number of Comerica Bank is a 9 digit number required for setting up direct deposits, initiating domestic wire transfers, electronic payments and check ordering. These numbers are also called routing transit numbers, aba routing numbers, routing transit numbers (RTNs), or ACH Routing Numbers. 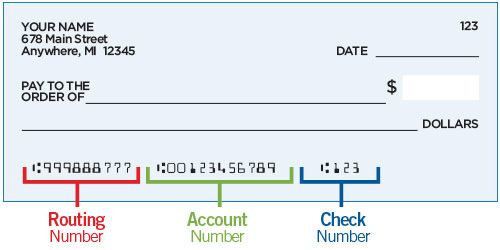 Routing Numbers usually differ by state for the same bank, however, some banks do have universal routing number for all states. If you do not have any checks available, you can find the Comerica routing number associated with the state where you initially opened your account in the table below. This may not be the same state where you live today.